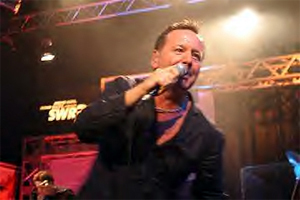 Simple Minds made a number of appearances across Europe in July, August and September as part of the promotional push for Black And White 050505. 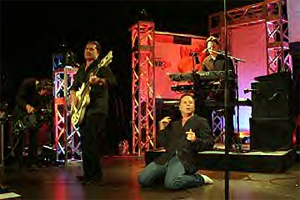 The events were mostly invitation only showcase events, in which songs from the forthcoming album were played by the band to media, retail and industry. Many of the shows were promoted and showcased by radio stations, who held competitions to win tickets. 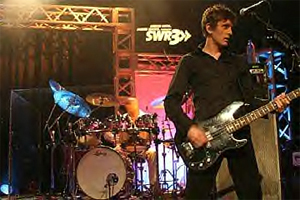 Similarly TV stations also showcased the band, blurring the distinction between a gig and a TV appearance. 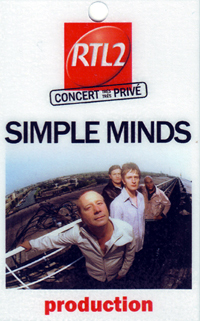 Therefore this list includes all the appearances of Simple Minds during this time. 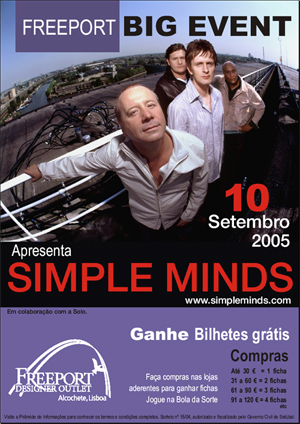 After these small low-key promotional appearances, the band toured in 2006. 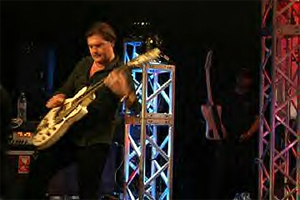 Andy Gillespie played the majority of the tour with Mark Taylor stepping in to play keyboards for the final gigs. 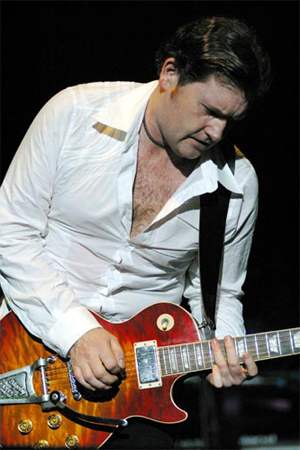 Mark then took over keyboard duties for the Black And White tour. These rehearsals gave a great taster of what was about to come. This gig was part of the "Stars For Free" open air performances. This was a small gig to 180 people. Tickets could be won from SWR3 on Monday, 8th August 2005. Tickets were prizes on both Billy Sloan's radio show and through the official site. 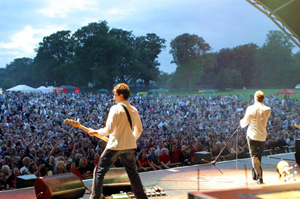 The gig was broadcast live; both on FM radio in Scotland and over the Internet. A listen-again feature was made available through Clyde's website. 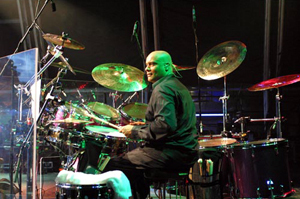 The band played to a crowd of over 12,000 and then went on to party at the Cuba Rock Club afterwards. Tickets were prizes on both Capital Gold's website, radio shows and the official site. David Jensen introduced the show, the band were on top form, best version of New Gold Dream (81,82,83,84) ever, and Mark Taylor was spotted propping up the bar. A full report of the gig can be found here. The gig was heavily promoted by the radio station and in the end, entry was to ticket holders only. Amended set-lists showed Space swapped for Theme For Great Cities at the last moment. 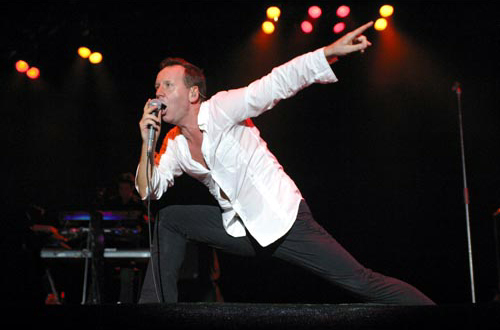 The entire concert was made available as a free streaming download through the official site in 2007. The performance can be viewed here. Recorded for Friday Night With Johnathan Ross, the show was broadcast on the 23rd September. Tickets could be won by registering on www.rtl2.fr and answering some easy questions. Jim "fucked-up" New Gold Dream (81,82,83,84) so the band ended up playing it twice. This show was broadcast on the 1st October. The venue has a capacity of 1500 - the gig was invitation only. Mark Taylor was on keyboards. The show was recorded by Spanish TV channel (Antenna 3). In true Taratata style, one of the songs was a duet. Therefore Mandela Day was sung with French singer Cali, and also included a brief improvisation of Somone Somewhere (In Summertime). The show was broadcast a month later. The band performed on The Late Late Show With Pat Kenny. More information can be found on the www.personal.com.ar website.